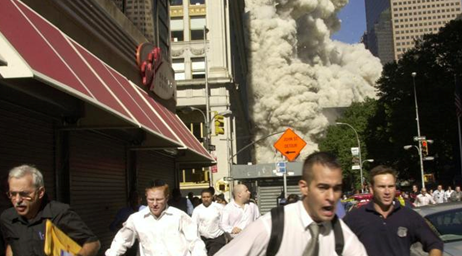 The 23-member 9/11 Consensus Panel is building a body of evidence-based research into the events of September 11, 2001. This evidence -- derived from a standard scientific reviewing process -- is available to any investigation that may be undertaken by the public, the media, academia, or any other investigative body or institution. The Panel regularly features selected excerpts from its Consensus Points, with links to full supporting documentation. These featured excerpts are shown below, along with other recent News items. In the fullness of time, much key evidence concerning the 9/11 attacks has disappeared from the Internet and even retroactively from the Wayback Machine, which respects requests from websites to block their materials. In an effort to preserve important evidence that is not easily available on the Internet, the 9/11 Consensus Panel is now offering a home for selected evidence that is of value to researchers who are investigating the events of that world-changing day. Andrew Card, Karen Hughes, Norman Mineta, Robert Mueller, General Richard Myers, Colin Powell, Condoleezza Rice, Karl Rove, and Donald Rumsfeld. These people were all involved in the response that day. Please Note: If any persons in the 9/11 research community are looking for a place to post other important links that are no longer available on the Internet AND on the Wayback Machine, the Consensus Panel will consider including them on this website. We may be contacted at consensus911@gmail.com. The 9/11 Consensus Panel mourns the loss of one of its most respected Honorary Panel Members, Ferdinando Imposimato, Honorary President of the Supreme Court of Italy, former Senator and presidential candidate (2015), and Grand Officer of the Order of Merit of the Italian Republic, who died in Rome on December 31, 2017. Dedicated to the fight against corruption, he became one of Italy’s most respected judges. He served on the Anti-Mafia Commission in three administrations and for over two decades investigated many important cases, among these the kidnapping of former PM Aldo Moro and the assassination attempt on Pope John Paul II. He repeatedly suggested that the only possibility for achieving justice is to submit the case to the Prosecutor of the International Criminal Court. The Consensus Panel – and many more – will miss this rare promoter of justice and truth. We are dedicated to carrying on his quest for justice for the thousands of victims of the attacks themselves, and the millions of the resulting global war on terror. Why do self-styled “skeptics” believe in their own brand of miracles? find it such an interesting phenomenon that of all the self-styled skeptics I have corresponded with or whose opinions are aired online, every single one swallows the miracles, told to us by NIST, of the three high rise steel frame building collapses on 9/11 being caused by fire when the evidence clearly shows that the collapses were caused by controlled demolition. Moreover, the $5,000 10-point Occam’s Razor challenge on the cause of collapse of the third building, WTC-7, that I’ve issued personally to a significant number of these self-styled skeptics, has been very loudly ignored. As Australian politician, Pauline Hanson, infamously said when asked if she were xenophobic, “Please explain”. Please explain why it is that the most prolific scholar – by far – on 9/11 is a Christian and Professor Emeritus of Religious Studies, David Ray Griffin, and why this scholar, highly-esteemed within and without his own academic field, does not swallow the collapse-by-fire miracles? He has written over 10 books on the subject of 9/11, his latest being Bush and Cheney: How They Ruined America and the World. He has also recently authored and co-authored two books on climate change. So he’s on the same page as most of the self-styled skeptics (in no way referring to the so-called climate skeptics, of course) with climate change but not with 9/11. The Twin Towers and WTC 7 were the only steel-framed high-rise buildings ever to come down without explosives or incendiaries. The Twin Towers, each of which had 287 steel columns, were brought down solely by a combination of airplane strikes and jet-fuel fires. WTC 7 was not even hit by a plane, so it was the first steel-framed high-rise to be brought down solely by ordinary building fires. These World Trade Center buildings also came down in free fall – the Twin Towers in virtual free fall, WTC 7 in absolute free fall – for over two seconds. Although the collapses of the of the WTC buildings were not aided by explosives, the collapses imitated the kinds of implosions that can be induced only by demolition companies. In the case of WTC 7, the structure came down symmetrically (straight down, with an almost perfectly horizontal roofline), which meant that all 82 of the steel support columns had to fall simultaneously, although the building’s fires had a very asymmetrical pattern. The South Tower’s upper 30-floor block changed its angular momentum in midair. This 30 floor block then disintegrated in midair. With regard to the North Tower, some of its steel columns were ejected out horizontally for at least 500 feet. The fires in the debris from the WTC buildings could not be extinguished for many months. Although the WTC fires, based on ordinary building fires, could not have produced temperatures above 1,800°, the fires inexplicably melted metals with much higher melting points, such as iron (2,800°) and even molybdenum (4,753°). Some of the steel in the debris had been sulfidized, resulting in Swiss-cheese-appearing steel, even though ordinary building fires could not have resulted in the sulfidation. As a passenger on AA Flight 77, Barbara Olson called her husband, telling him about hijackers on her plane, even though this plane had no onboard phones and its altitude was too high for a cell phone call to get through. Hijacker pilot Hani Hanjour could not possibly have flown the trajectory of AA 77 to strike Wedge 1 of the Pentagon, and yet he did. Besides going through an unbelievable personal transformation, ringleader Mohamed Atta also underwent an impossible physical transformation. Now could it be that self-styled skeptics all over the Anglo world (Michael Shermer, Richard Dawkins and Richard Saunders being notable examples) are suffering from a severe case of skeptic groupthink? You’d think one of them would deviate from the flock in their concept of truth, wouldn’t you? An example of the faulty reasoning used by skeptics is displayed by Michael Shermer in this interview where he employs a common logical fallacy of 9/11 argument, argumentum ad speculum, by putting forward the seemingly great implausibility of the conspirators’ ability to lay explosives in the twin towers. This hypothesis ignores the reality of how the buildings collapsed and also displays ignorance of information indicating how the task of laying explosives could have been achieved, as in Jeremy Rys’s 45 minute film, Conspiracy Solved! There is much study in social psychology on why people believe things and what approaches to take to help them out of their entrenched beliefs (see presentation In Denial of Democracy: Social Psychological Implications for Public Discourse on State Crimes Against Democracy Post-9/11, by neuroscientist, Laurie Manwell) but it truly baffles me that when you ask a self-styled skeptic to provide even just a single point to justify their belief and they fail, this stark confrontation with their inability to support their belief has no impact. It truly astounds me. I’m not talking here about aggressive confrontation, in which case one can comprehend a psychological resistance. I’m talking about asking someone, with pretensions to operate in a realm of reason and logic, simply to provide support for their belief. Occam’s Razor is a tool of logic that can be applied in different ways. In my appplication I take the approach: what hypothesis fits the piece of evidence in question with the fewest questions and assumptions. It works like magic. If a self-styled skeptic cannot use the tool to support their belief nor poke a hole in the points provided for the opposing view, surely reason and logic dictate that the skeptic must change their mind. If not, their claim to skepticism is utterly fraudulent. Those guided by wishful-and-fearful thinking thus if the idea of their own government perpetrating an horrific crime on their own people is too awful to bear they simply will not believe the evidence. Shouldn’t self-styled skeptics, by definition, be of the first type? Apparently, not a one is. They seem to be all of the second type or possibly third. Skepticism is a dynamic attitude to the world around us. It is not a dogmatic approach restricted by “accepted wisdom”, but a serious and sincere appraisal of claims of how the world works. In response to my perfectly-reasoned emails, however, a leading Australian skeptic, (we’ll call him “R”), simply dismissed me, without evidence or debate, as a “conspiracy theorist.” Sadly, in his discourteous emails, “R” displays the opposite of genuine skepticism. He displays, only, that he could not be more indoctrinated by the most successful propaganda weapon of all time, the “conspiracy theory,” meme promulgated by the CIA after the JFK assassination to silence and discredit those who questioned the lone gunman explanation. For Miller, those investigations include, among others: did the U.S. government have foreknowledge of the 9/11 terror attacks and choose to do nothing? Were Bush, Cheney, Rumsfeld and others surreptitiously trying to dismantle the republic envisioned by the founding fathers? And is the CDC concealing links between the MMR vaccine and autism? What sort of world do we live in when so many self-styled skeptics can watch the 6.5 second, beautifully symmetrical collapse of WTC-7 into its own footprint and accept the government report stating that it was caused by fire? Unincinerated terrorist passport fluttering to the ground at the World Trade Centre and being handed in by anonymous passerby? BBC journalist stating that WTC-7 collapsed 20 minutes before it did? Owner of WTC-7, Larry Silverstein, speaking of how he suggested that perhaps the smartest thing to do was to “pull it” (term used originally for demolition by pulling a building down but now also used for controlled demolition using explosives)? Do none of these puzzles excite even the barest curiosity in these so-called seekers after truth? New York, December 16, 2017 – The co-founders of the 9/11 Consensus Panel, authors Dr. David Ray Griffin and Elizabeth Woodworth, today release the following statement regarding disputed evidence within the 9/11 research community. Serious students of 9/11 tend to agree that the official story raises too many problems to hold together as a credible account. However and unfortunately, there are areas of disagreement, especially with regard to the Pentagon, that threaten to undermine good will and mutual trust. At the four alleged airliner crash sites, odd phenomena and anomalies continue to cause speculation and disagreement. Some scholars can justifiably take one set of data as most important, while playing down the importance of another set, while other scholars can justifiably take the second set of data as most important. These differences of opinion can be justifiable until there is a theory that can take account of all the indisputable evidence. Based on an understanding that there are valid reasons for disagreement, the 9/11 research community can best be unified by respect and tolerance for contrary theories. Contributions seeking to solve contentious issues can only be made by assembling reliable evidence and by applying critical thinking and peer review according to the standard scientific process. This is the strength of science and the way it has progressed over centuries. In conclusion, we offer the “agree to differ” approach: to end an argument amicably while maintaining differences of opinion until there is an explanation that does justice to all the various types of evidence. New York, December 7, 2017 – The 9/11 Consensus Panel was impressed by the imagination and resourcefulness of a new 4-minute video song created by Architects and Engineers for 9/11 Truth. The song was inspired by 9/11 Consensus Panel co-founder David Ray Griffin’s recent book, “Bush and Cheney: How They Ruined America and the World,” (Interlink, 2017). This snappy little song has been picked up the The Centre for Research on Globalization and may be heard here. The first Point, “The Claim that the Hijackers were Devout Muslims,” cites many media reports that the hijackers were engaged in “decidedly un-Islamic sampling of prohibited pleasures,” including lap dancing in Las Vegas night clubs. The second 2017 Consensus Point, “The Claim that Mohamed Atta Had Become a Fanatically Religious Muslim,” explores the question asked by a member of the press to 9/11 Commissioner Richard Ben-Veniste: “If Atta belonged to the fundamentalist Muslim group, why was he snorting cocaine and frequenting strip bars?” Ben-Veniste replied: “You know, that’s a heck of a question.” But it was a question that the 9/11 Commission never addressed. These two Points build upon the already overwhelming evidence that 9/11, which has been used to justify America’s imperialist agenda in the Middle East, was a deception across the board: the World Trade Center, the Pentagon, the hijackers, the phone calls from the planes, the fake security video exhibits, and the whereabouts of the political and military commands. Consensus panelist Dr. Niels Harrit, Professor Emeritus of Chemistry, University of Copenhagen, has published more than 60 peer-reviewed papers in the top chemistry journals and has given more than 300 presentations about the World Trade Center demolitions, speaking in Denmark, Sweden, Norway, Germany, Holland, France, Switzerland, Spain, United Kingdom, Canada, USA, China, Australia, Russia and Iceland. Dr. Graeme MacQueen, Professor Emeritus of Peace Studies at McMaster University, has published a recent article with an entirely new slant, “9/11: The Pentagon’s B-Movie,” which re-awakens our sense of the horrific yet still-concealed nature of this world-changing deception. Two other Panelists, physics teacher David Chandler and engineer Jonathan Cole, maintain a separate website, in which their independent research, which is also affiliated with the 2900-member Architects and Engineers for 9/11 Truth and Scientists for 9/11 Truth, is documented. Panel co-founder, Dr. David Ray Griffin, has recently released his 11th scholarly book on 9/11, Bush and Cheney: How They Ruined America and the World, perhaps his best-selling title to date. David’s August 2017 interview with John Shuck may be heard here. The Panel wishes to thank its fine team of voluntary translators, who continue to make best-evidence research about 9/11 much more widely available through other languages. But these events were also deeply filmic (like a film) and they were presented to us through a narrative we now know to be fictional. This “9/11 movie” reveals itself to careful investigators as scripted, directed and produced by the U.S. national security state. The movie does not represent the real world. It violates the rules operative in the real world, including the laws of physics. 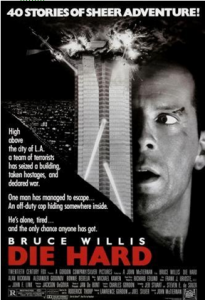 Audiences will remain in thrall to the spectacle and violence of the War on Terror only as long as they remain mesmerized by the B-movie of 9/11. given the numerous roles played in this event (for example, by the “hijackers”), there were undoubtedly actors. In addition, the event included the key dramatic elements of conflict, violence and spectacle. The entire production was filmed from several angles, and the films, sometimes in the rough and sometimes cleverly edited, were shown many, many times all over the world. So the planes of September 11, when they burst on the scene, confirmed the imaginative prescience of Hollywood, supported the courageous faction of the national security apparatus, and embarrassed the national security bureaucracy, which had to lower itself in October, 2001 to meet with the purveyors of fiction in order to stimulate its sclerotic brain. Of course, given the filmic nature of 9/11, it is clear that, according to these official U.S. sources, there was another group–beyond Hollywood and a few national security malcontents–that had imagination, namely al-Qaeda. Robert Altman (director of MASH, McCabe and Mrs. Miller and many other films) said in 2002 that Hollywood was to blame for the 9/11 events. Presumably, by “these people” Altman meant al-Qaeda. Perhaps it was while munching popcorn and watching a Hollywood movie that Osama bin Laden and his high-level companions got the idea for 9/11? This is possible. But would it not make sense to ask if it is true that the Pentagon has no imagination, and that it was incapable of picturing attacks like those of the fall of 2001? Since many of these films are highly imaginative constructions, how can it be that the national security agencies that have helped bring them to fruition have remained trapped in their grey, unimaginative world? Presumably, we are to believe that it is the nature of a bureaucracy to restrict these imaginative insights to one part of the organization–say, the Army’s Institute for Creative Technologies–while neglecting to disseminate them to other parts of the national security state. But is this true? It is not necessary to find an exercise here that perfectly matches the attacks of the fall of 2001. The point is that there is far too much imagination and far too much similarity to the actual attacks of the fall of 2001 to support the “failure of imagination” hypothesis. Hollywood participants in the October, 2001 brainstorming exercise, who thought they were being tapped for their imagination, were conned. Who was better prepared, through both imagination and logistical capacity, to carry out the attacks of the fall of 2001–Bin Laden’s group or the U.S. national security state? The latter had been practising steadily, in relevant scripted training operations, for years, and it had the power and resources to bring the imaginative scenarios to reality. Al-Qaeda was not remotely its match. These comments, selected from a wider set of similar comments, are intriguing, but what is their significance? As we examine them closely we recognize that the September 11 event was not just filmic but exclusively filmic. By this I mean that the narrative presented to us by authorities could not have unfolded outside of a film. Since at least as early as 1902, when the French film A Trip to the Moon (Le Voyage dans la Lune) took its viewers into space, audiences have been enjoying the ability of movies to deliver dramatic action through special effects, and especially by suspending, fictionally, the laws of physics. This is part of the power of film and there is nothing inherently wrong with it. But it is important to know when we are in the theatre and when we are not. In the original 1933 film, King Kong, director Merian Cooper was determined to make the appearance of his monster dramatically powerful, and to this end was prepared to change the monster’s size repeatedly to fit particular scenes. Cooper understood what mattered in a movie. But imagine what would happen if audiences remained convinced by the suspension of the laws of physics after they left the theatre? This, it seems to me, is what has happened with the events of September 11, 2001. Many people are still deceived by the special effects. They are still captured by the movie of 9/11. Consider two of the most traumatizing elements in the attacks, the disappearance of the Twin Towers and the ensuing debris cloud. The destruction of the Twin Towers stunned first responders. Their previous experiences, including experiences with high-rise fires, did not lead them to suspect these buildings would come down. Awed by the spectacle of the Twin Towers coming down, and by the later fall of World Trade 7, we are supposed to forget our high school physics. We are not supposed to notice that the official explanations given to us leave these spectacles every bit as peculiar as King Kong’s ever-changing size. So this central dramatic element, as edited for TV, interpreted by ponderous official voices, and played repeatedly for a world audience, belonged to the 9/11 movie. Behind the scenes the director had ordered that explosive charges be set in the buildings. Well over one hundred members of the Fire Department of New York witnessed explosions at the beginning of the so-called collapses of the Twin Towers. Their testimony fits with the controlled demolition hypothesis and does not fit with the script of the 9/11 movie. Since promotion of the government’s movie would have been difficult if these voices were heard, they were suppressed. “I’m about ten feet in front of it, running, actually sprinting because I’m an athlete and I’m running … Ash came around another building in front of me, and it caught me in front of me and in back of me, and everything was pitch-black. Where it hit me from the front and the back, it actually lifted me off the ground and threw me. It was like someone picked me up and just threw me on the ground. “You still can’t see it because it’s dark as a mother. You can’t breathe. It’s so heavy with smoke and dust and ash. As is clear from these testimonies, words like “smoke” and “dust” do not do justice to the cloud in which people were trapped. That is because the clouds were the Towers. Each Tower was converted in less than 20 seconds from a powerful, massive structure over 415 metres (1362 feet) high into cut steel and pulverized matter. While the steel lay on the ground, much of the remainder was rapidly propelled through the streets of Manhattan. Just as the dramatic tale of building destruction involved deception, so did the equally dramatic tale of this engulfing cloud. This cloud was not the result of a gravitational collapse caused by Muslim terrorists flying planes into buildings. It was the result of an explosive building demolition. That this cloud could not have been caused in the manner claimed by the official narrative has been argued several times, beginning at least as early as 2003. The demonstrations are independent of the proofs of explosive destruction of the buildings. 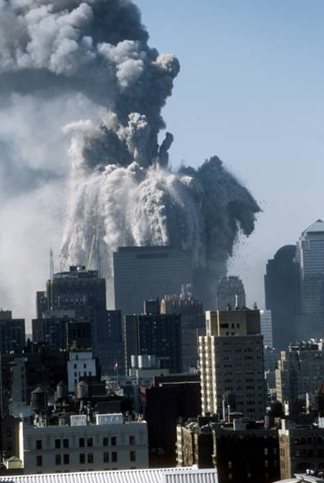 Credible scientists have calculated the amount of potential gravitational energy in the Twin Towers–the only major form of energy available, according to the official narrative, at the time of the “collapse” since the energy contributed at that point by the fires was minimal and indirect–and have compared it to the amount of energy that would have been required to create the pulverized debris cloud. Professor emeritus of civil engineering, Robert Korol has recently discussed this issue. He has calculated the gravitational potential energy of each of the Towers at 508.4 x 109 joules. He has calculated the energy required to pulverize the concrete of each Tower at 857.5 x 109 joules; the energy to destroy the perimeter columns at 219 x 109 joules; and the energy to destroy the core columns at 178 x 109 joules. The total energy required for the concrete and columns is 1,254.5 x 109 joules. Simply put, these figures suggest that it would have taken about two and a half times the amount of energy available through gravity to have destroyed the Towers as witnessed. Professor Korol’s calculations are based on experimental work he has done in the laboratory, the results of which have been published in peer-reviewed journals. He has pulverized concrete. He has buckled and crushed columns. He has measured the force required in each case. His calculations with respect to the Twin Towers are extremely conservative in that they do not attempt to include all forms of destruction attested, such as pulverizing of walls, furniture and human bodies. If, moreover, we were to add to his calculations the energy required to propel the pulverized buildings in all directions through the streets of Manhattan, as some authors have done, we would find the impossibility of the official narrative even more striking. The comment by the FDNY’s Terranova, quoted earlier–“you wouldn’t expect debris to do that–” is an understatement. We cannot avoid the conclusion that the gravity-caused debris cloud was exclusively filmic just like King Kong’s fluctuating height. Both honoured the rules of dramatic action by violating the laws of physics. 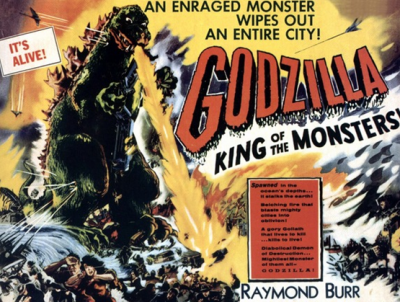 The apparently fanciful references to Godzilla by first responders are actually perceptive. Gravity was aided by an extremely muscular destructive force. But in Godzilla movies the monster is visible, while the monster of the 9/11 movie was invisible and must be made visible through investigation. In the 1958 trailer for the B-movie, The Blob, film-goers are shown sitting in a theatre as a horror movie begins. They are frightened, but only in the distant way that film audiences allow themselves to feel frightened by fictional representations. Then we notice the monster (“the Blob”) oozing into the theatre itself. As the movie-goers wake up to this reality and sense the real danger, they tear their eyes from the screen and run from the theatre. As audiences today watch the War on Terror, hypnotized by the extremist evil-doers, a pitiless oligarchy creeps unseen into the room. Our challenge is to break the spell of the B-movie of 9/11. Only when people sense the genuine danger and leave behind fiction and special effects will they be in a position to deal with the real monster that confronts us. Spectacle, the visual aspect of dramatic action, was included in Aristotle’s Poetics as an essential element of drama. As for conflict and violence, see Lew Hunter, Lew Hunter’s Screenwriting 434 (New York: Perigee, 1993), pp. 19, 22 ff. “Hollywood: The Pentagon’s New Advisor,” BBC Panorama (BBC, 2002); Sharon Weinberger, “Hollywood’s Secret Meet,” Wired, March 16, 2007. George W. Bush, “President Addresses the Nation in Prime Time Press Conference,” (U.S. government archives, April 13, 2004). Condoleezza Rice, “Press Briefing by National Security Advisor Dr. Condoleezza Rice,” (U.S. government archives, May 16, 2002). Sean Alfano, “Iconic Director Robert Altman Dead At 81,” CBS/AP, November 21, 2006. “The Motion Picture As A Weapon of Psychological Warfare.” Matthew Alford, National Security Cinema: The Shocking New Evidence of Government Control in Hollywood (Drum Roll Books, 2017), p. 31. “History Commons: Military Exercises Up to 9/11,” n.d. The New York Times, having obtained the World Trade Center Task Force Interviews from the City of New York through a lawsuit, hosts the documents on its website. The interviews are in the form of separate PDF files. Each file is identified by the interviewee’s name. From an interview with Cooper quoted in “King Kong,” Wikipedia, accessed August 6, 2017. “World Trade Center Task Force Interviews.” See note 18. The best summary in recent years is Ted Walter, BEYOND MISINFORMATION: What Science Says About the Destruction of World Trade Center Buildings 1, 2, and 7 (Berkeley, California: Architects & Engineers for 9/11 Truth, Inc., 2015) (free pdf; free e-version). Graeme MacQueen, “118 Witnesses: The Firefighters’ Testimony to Explosions in the Twin Towers,” Journal of 9/11 Studies, August 2006. Tim Martin, “Godzilla: Why the Japanese Original Is No Joke,” The Telegraph, May 15, 2014. The earliest attempt I know of is by Jim Hoffman. See “The North Tower’s Dust Cloud: Analysis of Energy Requirements for the Expansion of the Dust Cloud Following the Collapse of 1 World Trade Center, Version 3.1,” 9-11 Research, October 16, 2003. Ted Walter, BEYOND MISINFORMATION: What Science Says About the Destruction of World Trade Center Buildings 1, 2, and 7 (Berkeley, California: Architects & Engineers for 9/11 Truth, Inc., 2015) (free pdf; free e-version). Full references to Korol’s articles are given in Adnan Zuberi’s compilation accompanying “9/11 in the Academic Community: Academia’s Treatment of Critical Perspectives on 9/11—Documentary” [which is available on YouTube – editor’s note]. Trailer, The Blob, 1958, YouTube. Images in this article are from the author. As a prominent Whitehead process theologian, scholar David Ray Griffin attracted much attention when the first of his ten books about 9/11 came out (“The New Pearl Harbor,” 2004). In his new book, Griffin updates the evidence from his last book (“9/11 Ten Years Later,” 2011), and points to extensive new research on the Twin Towers from a large body of architects and engineers, and also to the investigations of the international 22-member 9/11 Consensus Panel. 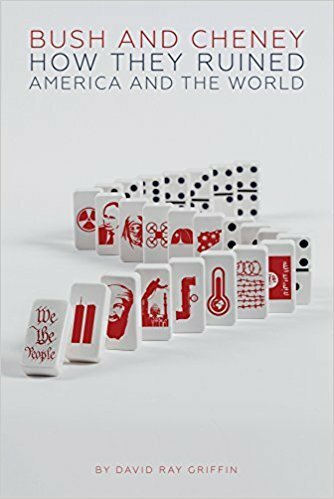 Griffin’s new book on the Bush-Cheney administration shows that both 9/11 and the climate crisis derive from the neoconservatives who came to power in 2000 as the Bush-Cheney administration. Using the great lie of 9/11, and never ceasing to drill into the pubic the fear of terrorism, the neocons and their media have metastacized into a full-blown “neoconservative movement” that has gradually come to dominate both the Republican and Democratic parties. Looking more deeply than the captured media, Griffin shows that the neoconservatives have been “the major source of the violence, illegal regime change, killings, and dislocations of millions of people since the attacks of September 11, 2001” – including the destruction of Iraq and Libya. This is all propaganda serving America’s war for the “greater Middle East,” which began in 1953 and has led to global chaos. The public needs protection from the increasingly incoherent media lies so that democracy can once again stand on a platform of truth. Dr. Griffin’s new book is a reliable and readable tool for people who want to base their thinking on solid evidence and lucid scholarship. NEW YORK, SEPTEMBER 10, 2016 – Italian film-maker Massimo Mazzucco, a member of the 9/11 Consensus Panel, has just released an elegant summary of his classic 5-hour 2013 documentary, September 11: The New Pearl Harbor. There have been several good films and videos about 9/11. But the film by award-winning film-maker Massimo Mazzucco, released in 2013, is in a class by itself. For those of us who have been working on 9/11 for a long time, this is the film we have been waiting for. Whereas there are excellent films treating the falsity of particular parts of the official account, such as the Twin Towers or WTC 7, Mazzucco has given us a comprehensive documentary treatment of 9/11, dealing with virtually all of the issues. Because of his intent at completeness, Mazzucco has given us a 5-hour film. It is so fascinating and fast-paced that many will want to watch it in one sitting. But this is not necessary, as the film, which fills 3 DVDs, consists of 7 parts, each of which is divided into many short chapters. These 7 parts treat Air Defence, The Hijackers, The Airplanes, The Pentagon, Flight 93, The Twin Towers, and Building 7. In each part, after presenting facts that contradict the official story, Mazzucco deals with the claims of the debunkers (meaning those who try to debunk the evidence provided by the 9/11 research community). The Introduction, reflecting the film’s title, deals with 12 uncanny parallels between Pearl Harbor and September 11. Mazzucco points out that his film covers 12 years of public debate about 9/11. People who have been promoting 9/11 truth for many of these years will see that their labors have been well-rewarded: There is now a high-quality, carefully-documented film that dramatically shows the official story about 9/11 to be a fabrication through and through. This year the 23-member Panel published two new Consensus Points, using a “best evidence” medical reviewing model. The first Point, “The Claim of Widespread Infernos in the South Tower vs the FDNY Radio Transcript,” refutes the official claim that the floors in the area where the plane hit were “infernos,” allegedly causing the melting of steel and the collapse of the Tower. The second 2016 Consensus Point concerns the omission of evidence in the official narrative that two senior New York City employees reported a massive explosion deep inside World Trade Center (WTC) 7 on the morning of 9/11, which trapped them in a stairwell for 90 minutes. These two Points build upon the already overwhelming evidence that 9/11, which has been used to promote a “clash of civilizations” with the Muslim world, was a deception across the board: the World Trade Center, the Pentagon, the hijackers, the phone calls from the planes, the fake security video exhibits, and the whereabouts of the political and military commands. Once this imperialistic 9/11 strategy is understood, many people, including academics, find that they cannot continue to live in its illusory matrix, and devote their time to the task of educating others. Accordingly, some members of the Consensus Panel have promoted the facts about 9/11. For example, Dr. Niels Harrit, Professor Emeritus of Chemistry, University of Copenhagen, had published more than 60 peer-reviewed papers in the top chemistry journals when he learned, in 2007, of the uncanny collapse of World Trade Center 7. He has since given more than 300 presentations about the World Trade Center, speaking in Denmark, Sweden, Norway, Germany, Holland, France, Switzerland, Spain, United Kingdom, Canada, USA, China, Australia, Russia and Iceland. In May, 2016, he spoke in London, and in August, 2016, at the World Social Forum in Montreal. Dr. Graeme MacQueen, Professor Emeritus of Peace Studies at McMaster University, has published an analysis of the anthrax scare following 9/11 entitled The Anthrax Deception: The Case for a Domestic Conspiracy. During 2016, he gave lectures on 9/11 in Montreal, San Francisco, and NYC. Two other Panelists, physics teacher David Chandler and engineer Jonathan Cole, maintain a separate website, in which their independent research, which is also affiliated with the 2600-member Architects and Engineers for 9/11 Truth and Scientists for 9/11 Truth, is documented. Panel co-founder, Dr. David Ray Griffin, has written an eleventh book on 9/11, Bush and Cheney: How They Ruined America and the World, which will be out in November. In the first part of the book, he lays out many ways in which the Bush-Cheney administration has weakened the U.S. Constitution and caused havoc in the Greater Middle East, which has spilled over into Europe. In the second part, he explains that the official account of 9/11 cannot possibly be true, because it entails at least 13 miracles – things that violate the laws of physics. Elizabeth Woodworth, the other Panel co-founder, gave a PowerPoint presentation to August’s World Social Forum in Montreal, discussing the development of the Consensus Panel, and some of its lesser-known – albeit shocking – evidence. An hour will be given to this evidence on cable TV this September in British Columbia. The Panel wishes to thank its fine team of voluntary translators, who have made its scrupulous evidence available in six languages. Who planned and conducted the attacks that took place on 9/11? New evidence tells us that the official explanation cannot possibly be true. Unveiling the truth about 9/11 will shatter the pretext that plunged the world into ‘endless war.’ It could be a ‘game changer’ in the fight against existing and future interventions, militarism, and the progressive curtailment of civil and human rights. Establishing the truth about 9/11 will give enormous impetus to the global fight for social, economic and environmental justice for years to come. Speaking the whole truth to power will showcase the work of three key members of the 9/11 Consensus Panel, a 23-person team of science academics, engineers, attorneys, commercial pilots, journalists, and others. In some of its 48 Consensus Points, the Consensus Panel has unearthed new evidence refuting the official claims about 9/11. Members of the 9/11 Consensus Panel who will speak at the World Social Forum: Elizabeth Woodworth, Graeme MacQueen & Niels Harrit. Elizabeth Woodworth is the Coordinator and co-founder of the 9/11 Consensus Project and has been researching 9/11 evidence since 2006. A retired health science librarian, Elizabeth has coordinated the ‘best evidence’ medical methodology to refute 48 of the official claims made regarding the events of 9/11. Graeme MacQueen is the former director of the Centre for Peace Studies at McMaster University. He is known for having collected more than 150 eyewitness accounts suggesting the Twin Towers were demolished with explosions on 9/11. He is the co-editor of the Journal of 9/11 Studies and author of The 2001 Anthrax Deception. Niels Harrit was the lead researcher in a peer-reviewed paper published in 2009 that described the detection of active thermitic material in the dust of the Twin Towers and World Trade Center 7. Harrit is emeritus professor at the University of Copenhagen’s Department of Chemistry. Since 2007 he has been actively involved in the global movement for 911-truth, and has made more than 300 presentations on 9/11 in 15 countries. The session will be moderated by Sean Sweeney, labor educator and activist, based in New York. Speaking the whole truth to power: Why We Need to Uncover the 9/11 Deception – Weds, August 10th 2016 – 9:00 a.m. – 11:30 a.m. – Université McGill – Pavillon Bronfman (Local 151), 1001, rue Sherbrooke Ouest Montréal QC Canada — World Social Forum — Another World is Needed: Together, It’s Possible! — 9/11 ‘Best Evidence’ Proves the Official Story is Not True – Fifteen years of research conducted by both reputable organizations and individual scientists and specialists has shown that there is no credible evidence to support the claim that nineteen hijackers led by Osama Bin Laden were responsible for the 9/11 attacks. The idea that fires caused by ignited jet fuel weakened the structure of the Twin Towers and led to a total destruction of both buildings is groundless. On the afternoon of 9/11, World Trade Center 7 – an enormous forty-seven story steel-framed building located near the towers – completely collapsed at free fall acceleration even though it had not been hit by an airplane. The collapse has been attributed to “office fires” – even though a steel-framed skyscraper has never collapsed as the result of fires alone. NEW YORK, June 15, 2016 – Fifteen years after the world-changing events of 9/11, new evidence refuting the official story continues to be unearthed by a Panel of 23 professional researchers. Today the 9/11 Consensus Panel releases two new Consensus Points presenting further evidence of serious contradictions concerning the collapses of the South Tower and World Trade Center 7. The importance of this Consensus Point is that a little-known Fire Department of New York radio transcript unmistakably refutes the claim that there were widespread fires in World Trade Center 2 (the South Tower) the morning of 9/11. The evidence of firefighter teams operating calmly, methodically, and with confidence that they could easily defeat the fires in the South Tower refutes the official claim that floors in the vicinity of the airplane strike were all “infernos,” and that the building was unstable and about to collapse. The second new Consensus Point concerns the omission of evidence in the official narrative that two senior New York City employees reported a massive explosion deep inside World Trade Center (WTC) 7 on the morning of 9/11, which trapped them in a stairwell for 90 minutes. The statements of these two men support evidence presented elsewhere by the Consensus Panel showing that WTC 7 did not fall from fire alone but was brought down through demolition. The Panel employs a methodology used in medicine to generate consensus statements of the best available evidence on specific topics. During the survey process, the expert respondents remain blind to one another through three rounds of revision and feedback. Over a five-year period the Consensus Panel has published 48 Points of evidence refuting the official story. The 9/11 Consensus Panel has now published 46 points of evidence refuting official claims about 9/11, and hopes to reach 50 by September 2016 – the fifteenth anniversary – at which point the Panel may decide to publish them. The Consensus Panel reviewed and published two new Consensus Points: one on Able Danger, and the other on foreknowledge of the Pentagon events. On October, 15, 2015, Consensus Panelist Dr. Graeme MacQueen published an article, “One Year After Canada’s October 22nd Shootings: We Need a Public Inquiry,” based on his longer, intensively researched report of September 30. 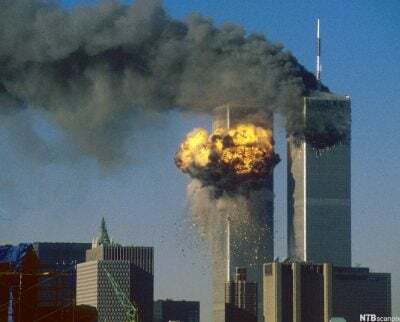 David Griffin’s article, “9/11 and Global Warming: Are They Both False Conspiracy Theories?” was published on September 15, by Dr. Paul Craig Roberts. David Griffin’s 2015 book, “Unprecedented: Can Civilization Survive the CO2 Crisis?” was reviewed as “a great service to humanity,” and was taken to the Paris climate summit in December by Panel co-founder, Elizabeth Woodworth, who has just made, with a professional film producer, a 2016 video entitled “A Climate Revolution For All. COP21: An Inside View.” Griffin’s book is featured for its section on mobilization. Elizabeth found her inside view of how 195 countries reached the first unanimous climate agreement in history, at the biggest meeting of nations in France since the UN Declaration of Human Rights in 1948 (COP was attended by 40,000 people), to be inspirational. The indigenous indaba consensus method holds promise for future global cooperation. On January 4, 2016, Panel member Massimo Mazzucco published an article on the continuing effects of 9/11 on the world terror agenda in 2015. It was translated by Consensus Panel translator, Christophe, in Agoravox.fr, (awk) “one of the most prominent European examples of a citizen journalism site,” and is the 1,392 ranking website in France. In October, a 2-hour German video closely documented the way that Wikipedia interlopers have systematically manipulated information about Consensus Panelist Dr. Daniele Ganser, a Swiss professor and historian who works to educate people about 9/11. The video shows what the truth is up against. AE911Truth has partnered with the team of Dr. J. Leroy Hulsey, an engineering professor at the University of Alaska Fairbanks (UAF), to undertake a two-year study that will virtually reconstruct WTC 7 and evaluate the range of possible causes of its collapse. AE911Truth believes the UAF study will be a turning point in how the destruction of WTC 7 is viewed — both within the engineering community and by the general public. There were 314,000 visits to the website, involving 141,446 unique visitors (99% of last year’s figures). In 2015 there were many citings of Consensus Panel evidence on external websites in the six languages representing the Panel’s work. Among them are new people questioning 9/11, like NSA whistleblower William Binney, and award-winning Danish Journalist Jens Nauntofte. The consensus911 Twitter account had 3,783 followers as of January 20, 2016. Did the Official Simulation of the Fall of WTC-7 Match the Observed Collapse? Was There Foreknowledge by Officials that the Pentagon would be attacked? Were Hijackers Responsible for Changes to September 11 Flight Transponders? Did Military Exercises Show that the Military was Prepared for Domestic (as Well as Foreign) Hijackings? Why Was President Bush Not Hustled Away from the Florida School? When Did Cheney Authorize the Shoot-down of Civilian Planes? Point PC-3: Cell Phone Calls from the Planes: The First Official Account?